You must make reservations at least 5 minutes in advance of the time at Bang Bang. Street parking is available. 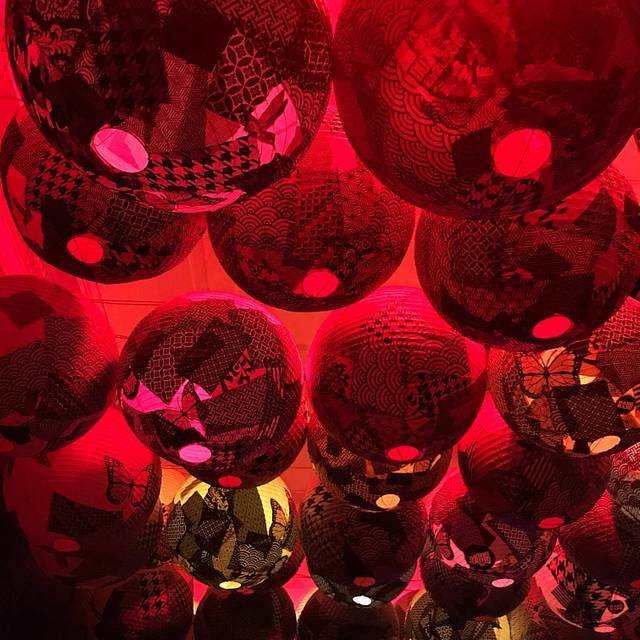 Closest parking structure is "Park it on Market" on the corner of 6th and Market st.
Bang Bang offers world class entertainment bookings, under the largest disco ball on the West Coast. On our sold out show nights, we have a $25 per person minimum for dinner reservations. Three different rooms of our venue and custom menus can accommodate any private event, from birthday parties to symposiums and dinner gatherings. 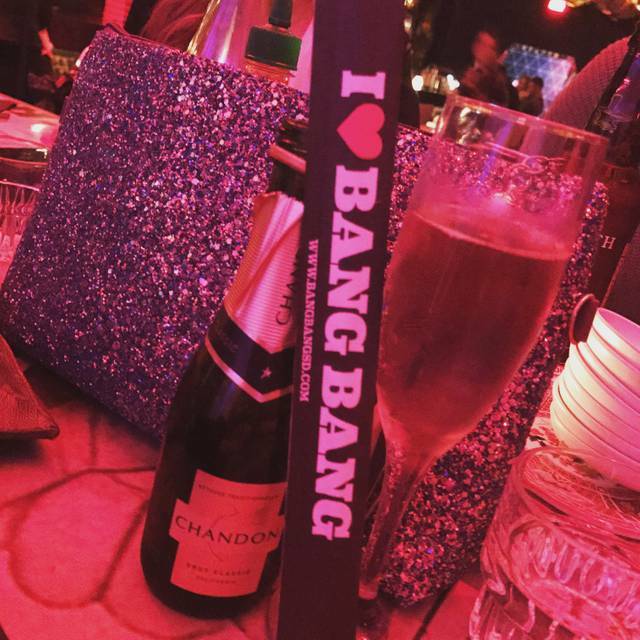 The doors of Bang Bang were opened July 2013 providing the public with an exquisite Asian-fusion cuisine and remarkable venue. 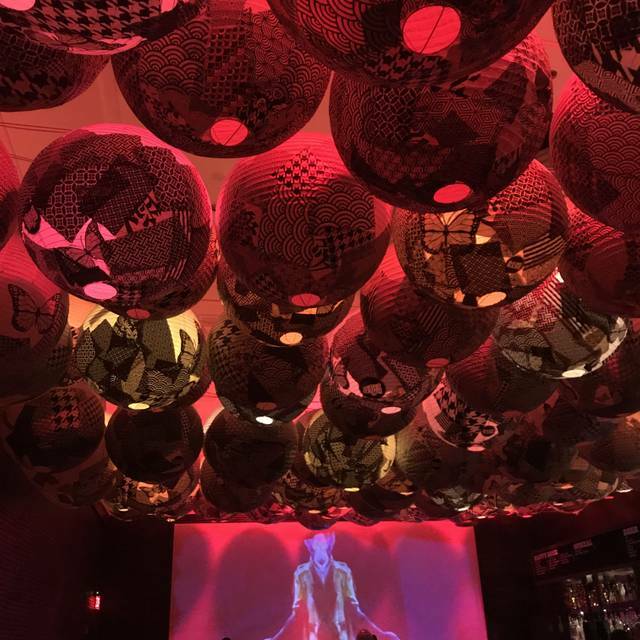 The tunneled stairway entrance, reminiscent of a Tokyo subway station, will bring you into Bang Bang’s unique dimension to create a memorable experience with our excellent service, outstanding food and drink, and our unparalleled hospitality. The three different spaces of our venue and custom menus can accommodate any private event from birthday parties, company parties, corporate, social and cocktail events, to business presentations, symposiums and dinner gatherings. Our custom lighting system and AV capabilities are perfect for utilizing desired branding for your private event requirements. Events available for individual rooms and buyouts. Please note that all members of your party must be 21 or older. The food was great. Very fresh. It was dark and the music was so loud that I couldn’t even hear anyone across the table. I had high expectations of BangBang based on what I read about it before making reservations for 8 ppl last Fri April 19th. The place and the food really lived up to its hype. We had a BLAST! Highly recommended! Had a group of 11 guys on a bachelor and eating dinner here was probably the highlight of the whole weekend in San Diego. Just the best atmosphere you could hope for before taking on the night. 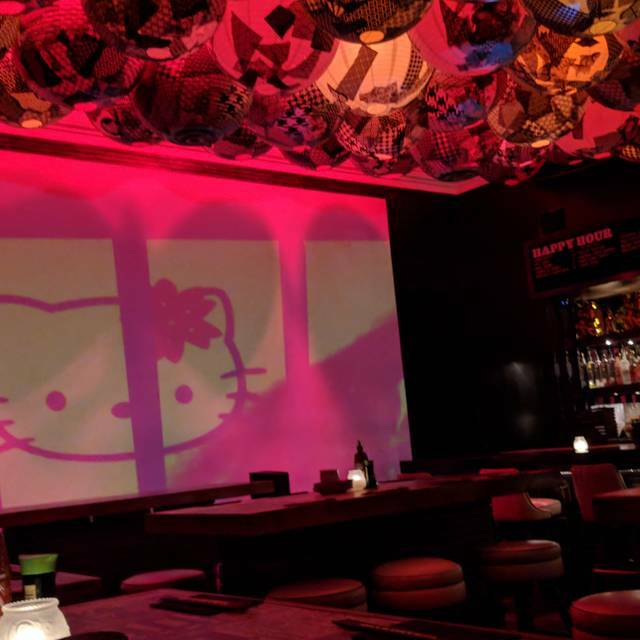 Love this "Kill Bill" themed restaurant with amazing food and extremely delicious drinks. The sashimi platter was fine tuned for our Wedding Anniversary needs and was AMAZING!!! And make sure you take the time to go to the restrooms (male and female) to check out the cool wallpapers! We will definitely be back to try other food items and different drinks. Thank you again for a wonderful evening! My friends and I had the best time!!!!! We had 3 of your punch bowls and the sushi was awesome!!!! Kyle gave us amazing service and may I add that this place was visually compelling to the eye!!!! The place has Awesome food great experience and service!!!! 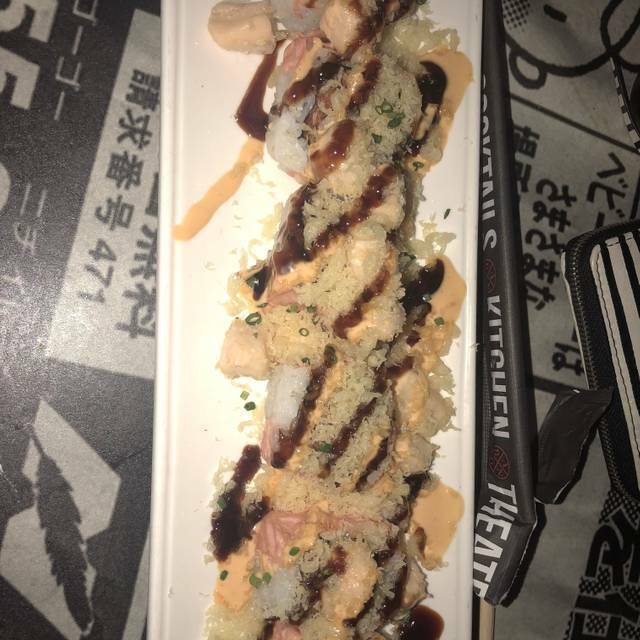 Going with my daughter to explore SDSU, and decided to go get some sushi. Went to Bang Bang for the reviews, and left in love of the restaurant and the food. The restaurant is very hip and modern, great music playing. 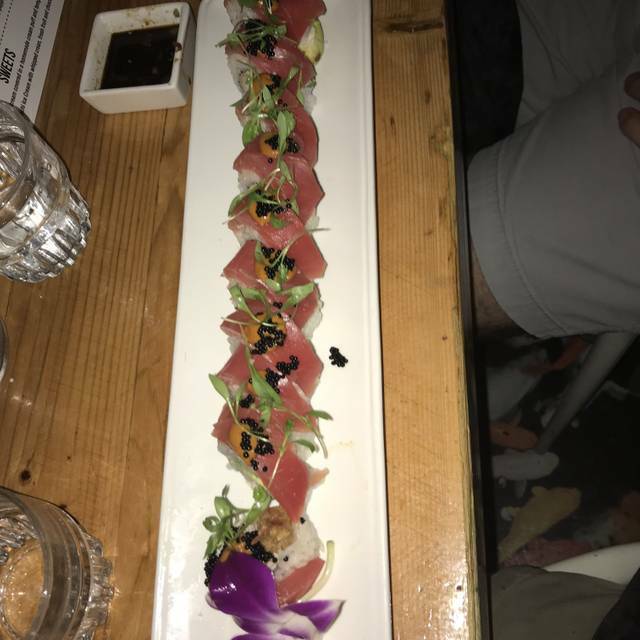 The sushi was fresh and awesome. I would recommend the sashimi plate, warm crab rolls, and their signature bang bang roll. Dinner, service and ambiance was perfection! Thanks Zach Stephens for the hospitality. Food was outstanding! Atmosphere was electric. Staff were all friendly, accommodating and seemed genuinely happy to work here. Already looking for an excuse to return to San Diego so I can eat here again. Bathroom wasn’t working when we went. Everything else was perfect. Our server, Kyle, was attentive and personable. It was an awesome experience! Recently had a date night here and we had the best time. The atmosphere and service were great, definite party vibe. We ordered a couple of rolls and the chicken wings to share (chicken wings were my favorite). I believe they have dancing but we didn't stick around for that. I came here for my engagement dinner & i was flabbergasted & ecstatic. The food was exquisite. Food was amaaazing, and service was good too, I recommend trying! Fantastic. First time there and I will definitely be going back. The sushi is amazing and the hostess was great. I LOVED IT SO MUCH HERE. We went to celebrate my cousin’s bachelorette! Cute picture opportunities and even better food! I can’t wait to come back. Wish I did my research ahead of time to see that it was Techno night, since it’s not my favorite kind of music. But regardless, such a great night! Also shout out to Nicole, our waitress, she was so nice and left a great impression! Thank you! Good food, beautiful place to eat. Music is a bit loud. 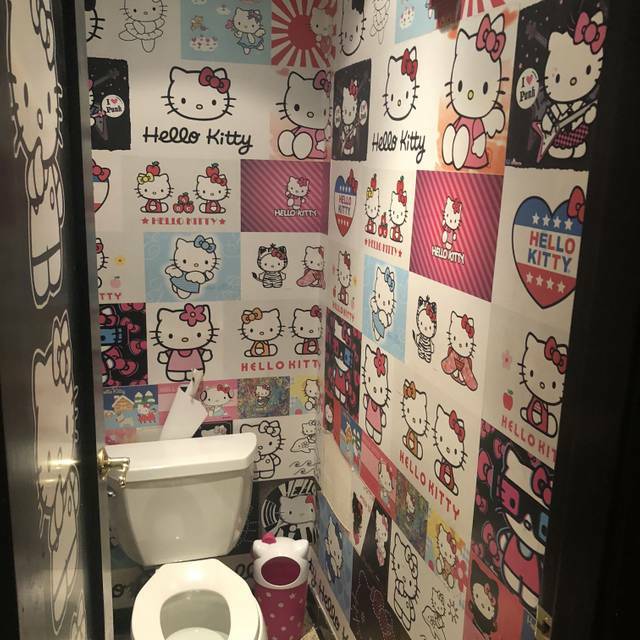 I have never been here and found this place on Yelp for my 39th Birthday party. It was incredible, I felt 21 again! The energy, the food, the music was fantastic. Kyle was the best! We made a reservation a week and advance and when we arrived we were told we could only stay for 1.5 hours because they were busy ( yes that's why we made a reservation) we needed to speak to the manager and after that the problem was solved and the waitress was awesome! I love Bang Bang just wish the music was a little lower as the night progresses in the dining area. We had amazing service and everyone was so helpful and energetic. We were here for a bachelorette party and had a blast! Our waiter was great and we ended up staying through the night to enjoy the club. Overall had an amazing night! Service was fast and friendly, or large group had all its needs accommodated. Place was loud, but to be expected for a New Years Eve club-like ambiance. Transferring from dinner over to the show was seamless and a great night for all! After checking in with the hostess and getting seated in the almost empty restaurant, we sat for a solid 20 minutes and did not have a single member of their staff come to our table or even walk by. We decided to leave and passed right by the hostess and she wouldn’t even make eye contact. It’s a shame because we used to come here every visit to San Diego. 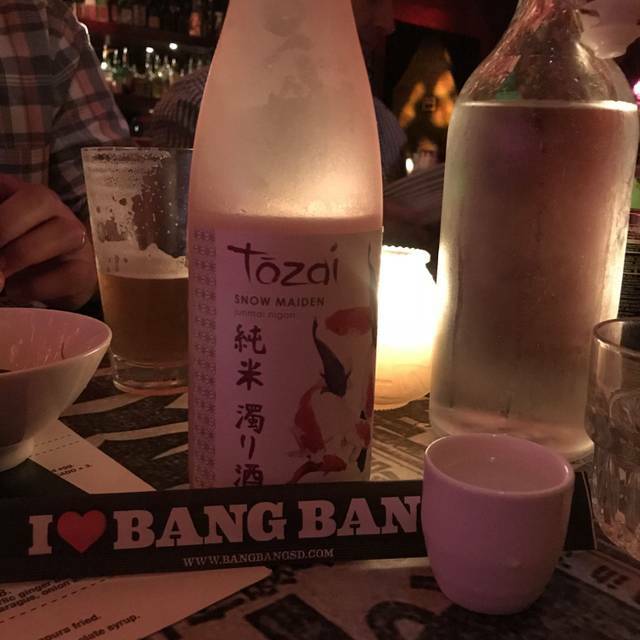 I've been to bang bang to see a DJ, but I had no idea it was a Japanese restaurant as well. Went there for a date night and loved it! Ambiance was great and it was fun and different than most places. Definitely recommend! Great experience! Drinks are great and it’s the perfect spot to get all your instagram worthy pics! Service was super slow. Server was nice and apologetic but still very slow. Kyle was the best...!!! Great ambience and you can meet out of town gems! Very fun but waaaay too loud! We could not even talk to each other during dinner so that was a bummer. Food was delicious, and the service was awesome! Fun spot, fun lighting, great drinks. I'll be back.